Global technology leader to showcase regional, sector-relevant IoT digitization use cases and demonstrate benefits and business outcomes of its latest solutions at region’s largest ICT exhibition. Dubai, United Arab Emirates: Cisco announced that it will invite Middle East countries, organizations and businesses to “Reimagine a Digital Reality” at GITEX Technology Week 2016, which will be held at the Dubai World Trade Centre from October 16-20, 2016. The company will use GITEX as a platform to support efforts at accelerating digital transformation and to showcase its key business architectures and solutions that enable it, including Security, Cloud, Data Center and Analytics, Mobility, Application Centric Infrastructure and Collaboration. 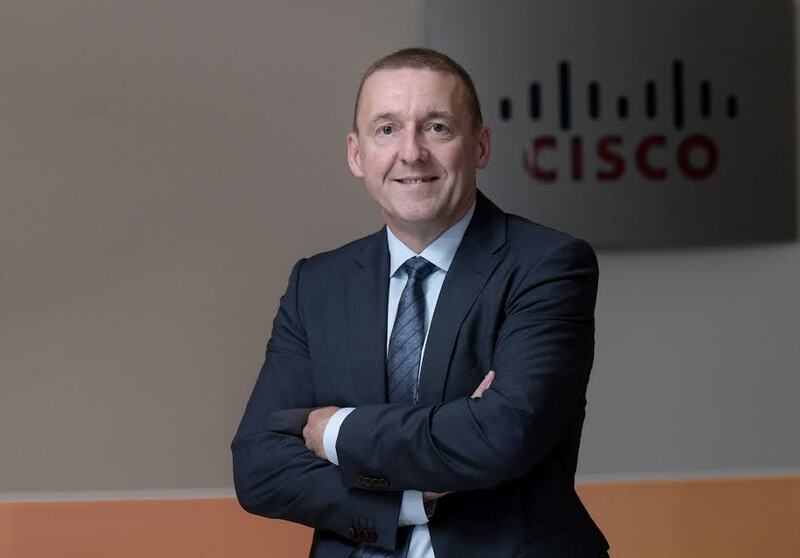 As part of its GITEX plans, Cisco will demonstrate its digital solutions and technology across multiple verticals including Public safety and security, aviation, education, transport, public sector, banking and finance, and oil and gas, amongst others. In addition to showcasing ‘real life’ Smart City scenarios, the company will highlight how implementing a digitization strategy will enable Middle East countries and organizations to reap the full benefits of the Internet of Things (IoT). Cisco will place the spotlight on its recently launched solutions such as Cisco Tetration Analytics platform, Digital Network Architecture (DNA) and Cisco Digital Ceiling Framework, in addition to its latest technologies for Data Centers, Cloud, Security, Collaboration to name a few. The company will demonstrate how these technologies are and will play an increasingly important role in improving the quality of life, not just for upcoming generations, but for everyone today. Leading IT solutions provider, Gulf Business Machines (GBM), is Cisco’s ‘exclusive channel sponsor’ at GITEX. As the momentum of digitization accelerates/gathers pace across the region, Cisco and GBM will be showcasing smart technology solutions that include collaboration, security and mobility at the event. They will also demonstrate key business architectures and industry-focused use cases that are driving business outcomes in industries such as hospitality, transportation and aviation. GBM is a Cisco Gold Partner and was awarded ‘Middle East Partner of the Year’ at the most recent Cisco Global Partner Summit. Senior executives from Cisco and its partners will be available at their stand number Z-B40, Zabeel Hall and stand number B1-1, Hall 1 at GITEX Technology Week 2016.